You have probably noticed that things have been quiet around here... we've been so busy getting all of the last minute baby prep tasks done at home, and trying to prep work for my maternity leave! My due date is now 2 weeks away, and baby could come anytime. So needless to say, things will continue to be quite quiet around here for a bit longer, but hopefully after settling in and after the holidays I'll start posting more again. 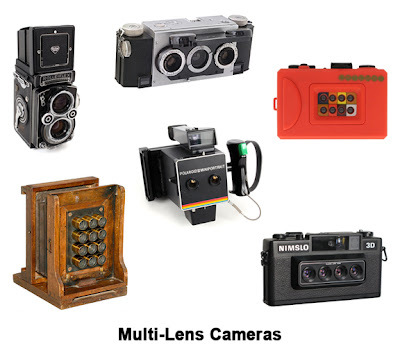 Muli-Lens Cameras- Read about six different types of cameras that have more than one lens.